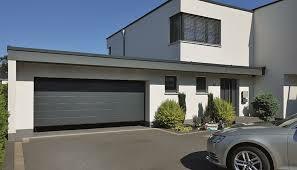 Sectional overhead garage doors are made up of connected individual horizontal panels. 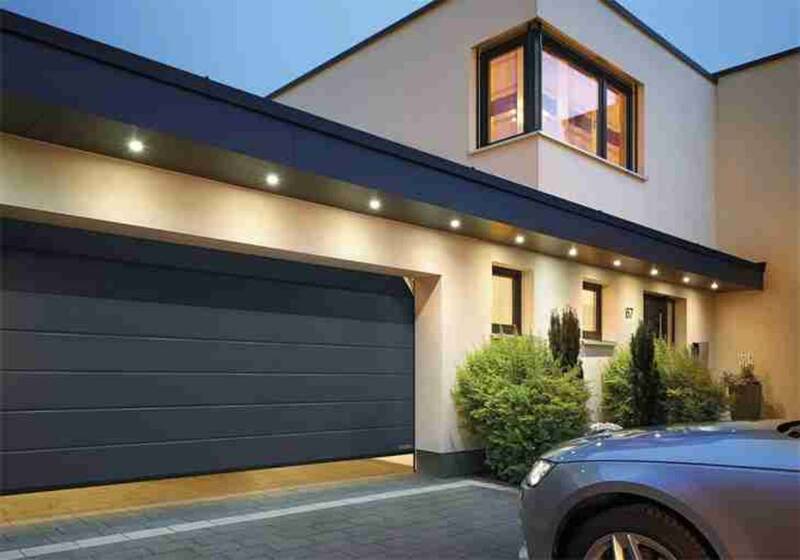 They have hinges that help connect the panels and allow the doors to move through the meeting point of the door and the roof, thus opening at an angle and saving space unlike swing up or swing out garage doors. Economical : These doors are made up of many panels which are easy to mass produce and ship compared to other doors which makes them very economical. Because the whole door is made up of several panels, damage to a panel can easily be repaired without having to replace the entire door. 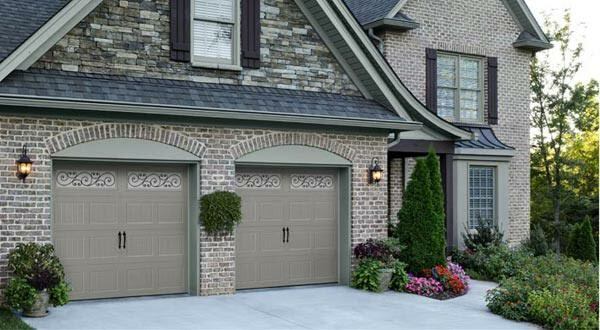 The "no swing out" system allows these type of overhead doors saves space in their garage as the doors open vertically and suspend under the garage ceiling.